If you’re going to be near Panama City Beach for Thanksgiving, there are a plethora of suitable options for places to have your traditional Thanksgiving Day meal – right on par with or perhaps even better than the standard home-prepared holiday feast. Going out to eat when you’re on vacation is also often the most convenient option, especially when it comes to a big meal like Thanksgiving. No cleanup, no preparation, and no hassle! So, we decided to put together a quick list of places near our vacation rentals in Panama City Beach to have your holiday meal, whether you’re traveling, vacationing or just looking for an easier way! Conveniently located right on Front Beach Road, this spot is a favorite for being open on Thanksgiving Day. Known for serving some of the best breakfast on the beach, Coconuts pulls out all the stops when it comes to serving up Thanksgiving Day dinner. Here you’ll find a traditional home-style menu complete with smoked turkey, stuffing, mashed potatoes rolls, and more. Of course, you’ll end the meal with a great spread of desserts—choose from pumpkin, apple, and pecan pie! Also located on Front Beach Road in Panama City Beach, the Boars Head restaurant is another worthy pick for Thanksgiving dinner. This spot is known for its delicious prime rib, strip steak, and other amazing cuts of meat. On Thanksgiving, the restaurant prepares an amazing buffet that runs from 11 a.m. to 6 p.m. You’ll find a selection of salads and soups, plus a carving station, plus all the traditional fixings. It costs under $40 for adults and just more than $15 for kids. Reservations are highly recommended, call ahead at the number provided. If you’ve ever wanted to eat at a gastrobar for Thanksgiving, this is your chance! Usually, the meal is all about the food, but you won’t want to pass up trying one of the enticing beer choices or fun season themed cocktails offered here. On the Parkway in Panama City Beach, enjoy a meal here and stay for the drinks after, it’s sure to be a memorable time! The casual atmosphere and reclaimed cypress wood used for table and bar tops provide you with the chance to enjoy a truly original Thanksgiving. Once again, Harpoon Harry’s will serve its traditional Thanksgiving buffet for the holiday. Located on Front Beach Road in Panama City, this is a cozy spot to eat and celebrate Thanksgiving Day. Open from 11 a.m. to 6 p.m. you’ll be able to stuff yourself with all the traditional fixings—turkey, mashed potatoes, corn, cranberry sauce and more. The best part about this spot is you can choose to sit inside, or celebrate Thanksgiving by sitting on the beach and enjoying your meal. The cost of dinner is less than $30 for adults and just over $15 for kids. Thanksgiving dinner is expected to sell out, so you’ll definitely want to call and make reservations ahead of time. Jimmy Buffet’s Margaritaville on Front Beach Road in Panama City Beach is a fun spot to spend your Thanksgiving holiday. 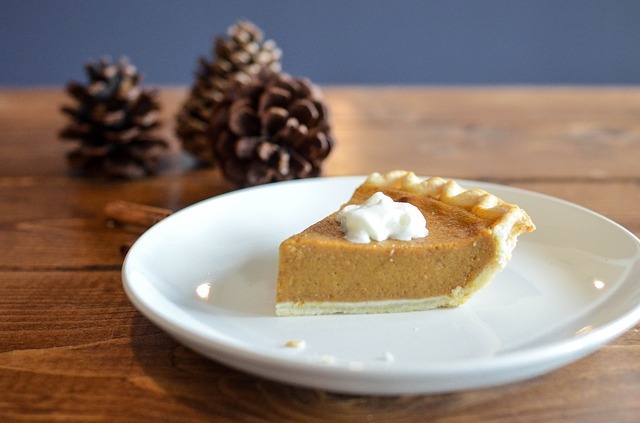 From 10 a.m. to 10 p.m. on Thanksgiving you can enjoy a traditionally roasted turkey, mashed potatoes, bread stuffing, honey garlic green beans, and pumpkin pie for dessert! The cost is less than $20 per adult, and just over $10 for kids! The usual menu is also available to order from a la carte style, and you’ll want to call ahead to make a reservation. It’s called the buffet by the beach! Enjoy the Gulf front bar and grille for the holiday at Runaway Island. Reservations are suggested for the Thanksgiving Day meal. If you’re looking to veer away from the traditional meal, here you’ll find some of the best local fresh seafood, each dish with its very own special flair. You’ll have a beautiful view of the beach during your meal and can also enjoy one of the signature frosty drinks! After Thanksgiving is through, stop by any of these restaurants for some fantastic regular fare, typically made with local fresh ingredients. And, anytime you stay at our Panama City Beach vacation rentals, you’ll have access to them and many other top-rated eateries in the area right outside your door!